Daniel Majstorovic is alleged to have driven at 94mph while Adam Matthews is accused of driving without insurance. Celtic defender Daniel Majstorovic has been charged at driving at almost double the speed limit. The 34 year-old Swede was allegedly clocked doing 94mph in a 50mph zone of the M8 near Helen Street, Glasgow, on August 18. 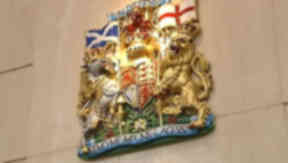 Majstorovic, of Kibarchan, Renfrewshire, faced the accusation at Glasgow Justice of the Peace Court. His team-mate Adam Matthews also faced a driving charge at the same court. The 19 year-old Wales international, of Glasgow's Park district, is alleged to have been behind the wheel while having no insurance in the city's Renfield Street on August 19. Lawyer Gerry Britton appeared on behalf of both players, who were not present in court. The case against each of them was adjourned until next December.